There is a higher institution of learning that surpasses every other citadel of learning in Nigeria. There is an excellent alma mater at the heart of every Nigerian; noted for its academic excellence and excess success that cut across every field of study. A school with a bright future where unparalleled and innumerable opportunities await both staff and students that chooses the school as their place of work or studies. It is called the “University of First Choice and the Nation’s Pride”. But before going into the topic: Internationalization of the University of Lagos: the prospects and challenges; I will like to first define the term internationalization. Although there is no agreed definition of internationalization, let’s take a look at some definitions given by different sources. According to the Oxford Advanced Learner’s Dictionary, internationalization can be described as a means to bring something under the control or protection of many nations; to make something international. While according to Investopedia, internationalization is the designing of a product in such a way that it will meet the needs of users in many countries or can be easily adapted to do so. In the context of Economics, internationalization is the process of increasing involvement of enterprises in international markets. What is constant in these definitions is to make something international or to make something international as in scope or character. The original understanding of internationalization was exemplified by Jane Knight who defines internationalization of higher education as the process of integrating an international/intercultural dimension into the teaching, research and service which are the core element of an institution (Jane Knight and International Association of Universities, 2006). This definition is accepted given its emphasis on process and the three important dimensions of universities: teaching, research and service. 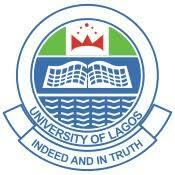 Evidently, the University of Lagos has made a name for itself locally and internationally. The school has done a lot to remain academically relevant, refined and advanced due to its multifarious and value oriented educational system. They have in place the Confucius Institute that specializes in foreign culture, precisely, Chinese. They also have qualified tutors in the Faculty of Arts who teaches other languages like German, Russian, and French. The University of Lagos has a lot of world class tutors in various departments who have studied and graduated from Ivy League Colleges around the world. Notable international universities such as Harvard University, Massachusetts Institute of Technology (MIT), Princeton University etc. thereby enhancing the teaching and learning process and attaining excellence in research and scholarly activities. Flipping back through the pages of academic history in UNILAG, we can see that the school has built and imbibed a culture of excellence. 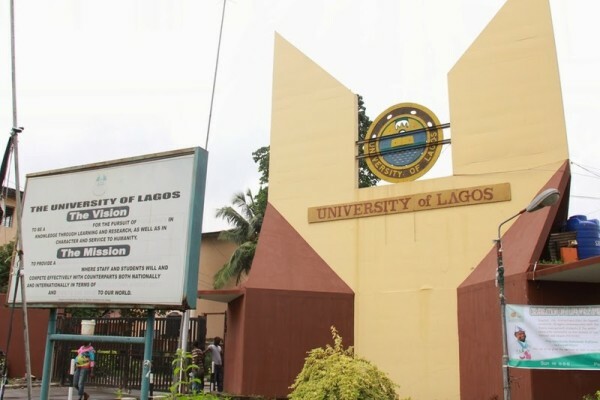 UNILAG is also noted for the promotion of excellence, talents and leadership qualities. There are different categories of endowment awards for students who are academically sound and outstanding in sports and leadership. Their educational system is dynamic, impactful, endowment consistent and productivity oriented. The University of Lagos was the first University in Nigeria to own a radio station and make Mass Communication more interesting and practical in nature. This is the first University in Nigeria to have a 5.0 graduate. Grace Gureje, a student of the University of Lagos also won 15 awards in Nigeria Law School, in a single day. Let’s take a look at some of the University of Lagos notable alumni; they include: Wole Soyinka, JP Clark, Yemi Osinbajo, Linda Ikeji etc. Beside, the environment is positively influential and progressive in nature. UNILAG is already developing a future with skills that are relevant. We have had students compete in international competition and came top. Competitions such as: Coca Cola Global Management Challenge, Google Apps Developer Challenge, Google Cloud Contest, Future Creative Leaders Academy Challenge, Social Ventures Challenge (SVC) etc. We have also had brilliant students from the Faculty of Engineering who built a car. We have had students’ entrepreneurs who have taken the world with their brilliant business ideas. We have had amazing students doing well in the world of entertainment. Evidence is the end of argument. Inferring from these statistics, I believe that the University of Lagos has great potential to be successful in internationalization. The University of Lagos has built a vibrant relationship with the outside international arena and this will go a long way in fostering the idea of internationalization. However, we all know that every new development comes with one challenge or the other. Integrating various international perspectives into higher education can be challenging. Let us take a look at some of the challenges that the University of Lagos is likely to face in the process of internationalization of higher education. Firstly, the most pervasive challenge is adapting to world changes. Change is the most powerful force in our society today. In today’s changing world, time disrupts everything. Science and technology is advancing everyday causing lag in personal knowledge and expertise. The willingness of an academician to engage with internationalization activities depends on his/her personal capacities and experience with other cultures and languages; lack of this, will likely lead to unwillingness to participate in internationalization movement. Also, many people now prefer studying and getting certified at the comfort of their home. If they want to learn anything, they turn to online technologies such as search engines and educational website. This is a disturbing trend in the world today. Furthermore, the cost and financing involved in internationalization process is discouraging. The infrastructure and facilities involved in making something international is quite large. The school will have to set up world class facilities and expand its circle of management. Incorporating of new information technologies into knowledge activities of teaching, research and communication; and using new technologies for teaching and learning, as well as new means to monitor and assess teaching and learning to promote and maintain their academic standard. They will need to keep an international profile, increase their database, and get additional technologies (computers), use of tools and educational models especially for distance education and the planning of special textbooks for foreign students. In fact, it is well known that the available hostels can’t even accommodate the increasing number of students coming into the University of Lagos yearly. Therefore, if UNILAG is to copy international best practices, it will have to increase the number of hostels and classrooms. The University of Lagos will also have to conduct intensive and extensive research on how international counterparts have been able to manage international students. The setting up of diverse centralized research facilities; all these will amount to huge financial cost. 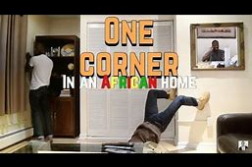 In the same vein, assimilating the proliferation of different cultures on campus can be challenging. 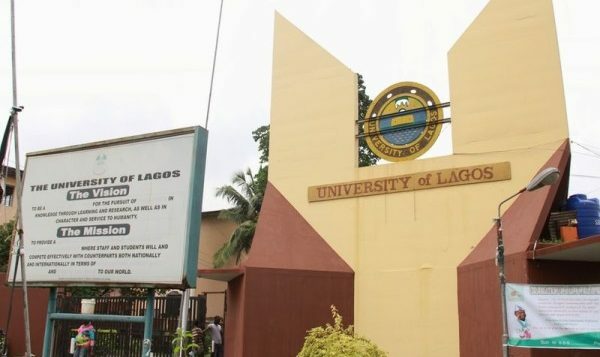 If UNILAG is to go global, we would have to consider the fact that the international students that will be coming here may have a different lifestyle or religion; and may have taste for certain things that the University of Lagos is not into or has not been into. These are just few known challenges that the University of Lagos is likely to face in the process of internationalization. In conclusion, where there is a will, there is a way. The indefatigable words of a wise named Robert Schuller, quench the thirst in the heart for a brighter future which says “The world of tomorrow belong to the person who has the vision today”. The vision of the University of Lagos goes thus: “To be a top class institution for the pursuit of excellence in knowledge, character and service to humanity”. Where there is a top class vision, there is surely a future. Knight, J. & International Association of Universities. (2006). Internationalization of Higher Education: New Dimensions, New Challenges. 2005 IAU Global Survey Report.